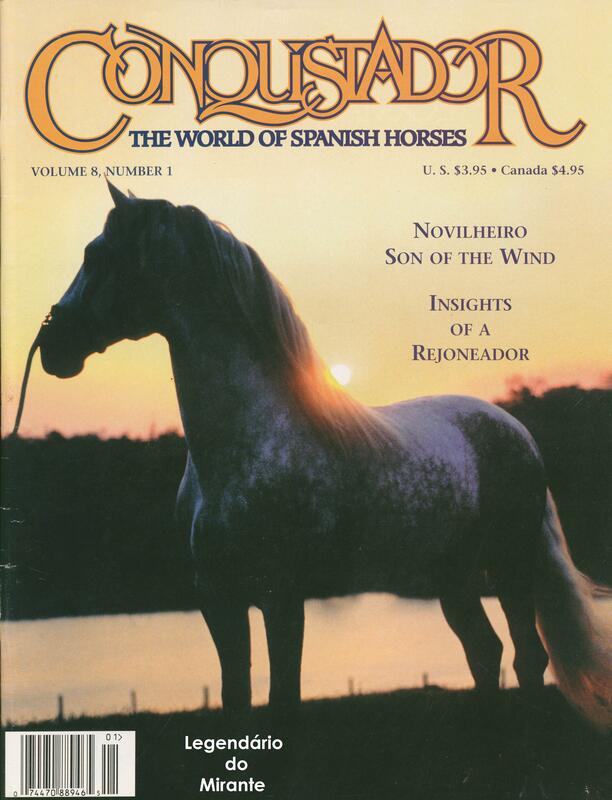 His sire Novilheiro MV is one of the most famous Lusitano horses of all times. Novilheiro (MV) competed on the European jumping circuit where he became the British Champion and leader of the European ranking for money-prize earned in official jumping competitions. Novilheiro MV is son of Firme (SA) on Guerrita (MV), a daughter of famous Toleirona MV. 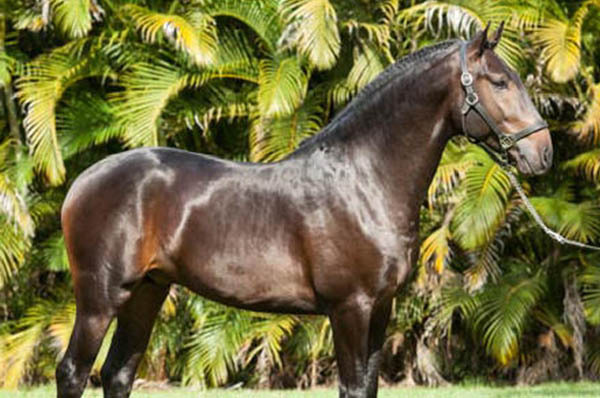 Among Novilheiro’s many famous sons, Legendário, bred by Interagro in Brazil, and Inca (RC) from Arsênio Cordeiro’s stud are considered as the two most beautiful and, certainly, those who have produced the most numerous offspring of prime quality. During the course given by Portuguese Stud Book representatives to Brazilian technicians in 1997, Legendário was shown as a model of the ideal morphology and functionality desired in the modern Lusitano horse. Interagro was one of the first breeders to realize the genetic quality and the breeding potential contained in the Firme/Nilo/Novilheiro heritage. Interagro’s interest for Novilheiro (MV) led to the acquisition of a number of Arsenio’s mares covered by this fantastic stallion. 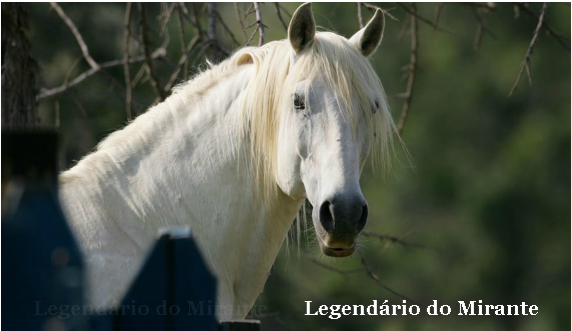 From one of these mares, Ulisséia (RC), by Palpite (MV) and Tabanca (SA) – Champion, Gold Medal in Lisbon (1984) and Champion Imported Mare in Brazil (1989) – was born Legendário do Mirante. 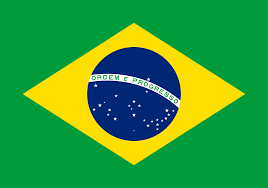 Arsênio Cordeiro also ceded to Interagro a group of mares descendants of Guerrita (MV), the mother of Novilheiro (MV). Carefully manipu­lating all this rare and precious genetic material, Interagro was able to fix these bloodlines, which now appear in many of its pedigrees. 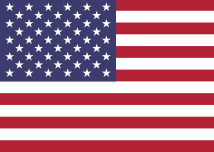 Legendário has twelve sons in the U.S. and many daughters included in the official Interagro brood-mare group. Needless to say that Legendário was as soon as possible used on the best Interagro mares, with excellent results. Following strictly established long-term plans it was possible to fix the Firme/Nilo/Novilheiro heritage, which now very often appears in Interagro’s pedigrees, introduced by Legendário himself and by his offspring.